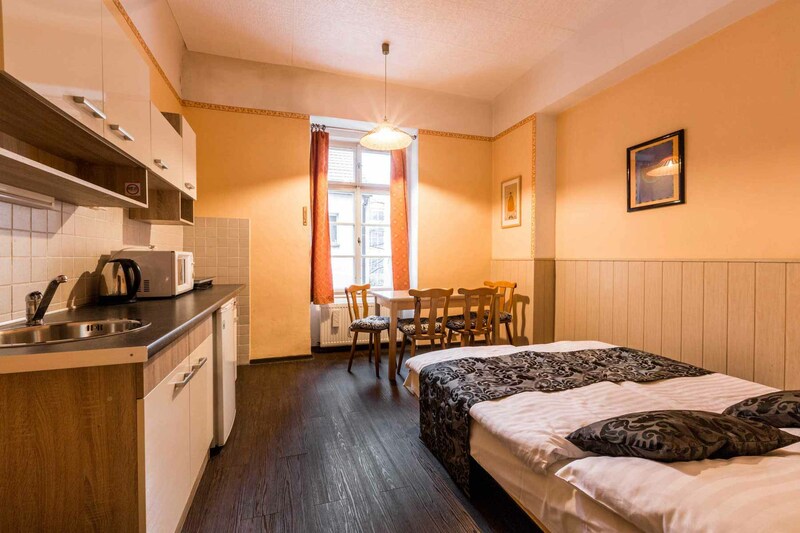 Our Aparthotel Davids Biskupský dvůr is located in a quiet and very attractive tourist location right in the centre of Prague, in the immediate vicinity of Těšnov and Na Poříčí streets. It is a historically interesting balcony-access building right behind the Church of St. Peter, on the edge of the Old Town and New Town. 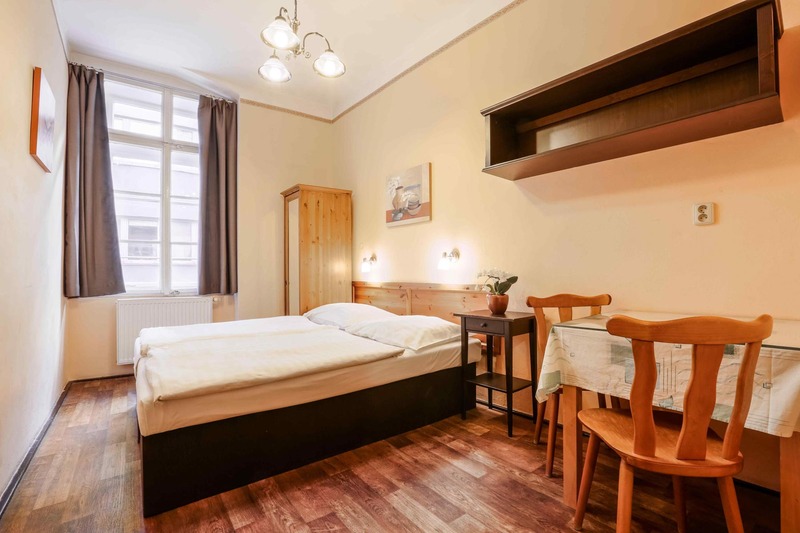 Most of our apartments are situated facing a quiet courtyard, making them ideal for relaxing following your stroll around the busy Prague streets. Aparthotel Davids Biskupský dvůr is located in a quiet area of a historical part of Prague. Most of the Prague tourist attractions lie within walking distance of our hotel, just like the centre of the nightlife in Prague. You will only rarely have to use the tram, metro or bus when staying with us. Petrské náměstí and the Church of St. Peter with its magical surroundings are next to our hotel. The nearby Vltava River is ideal for romantic walks.